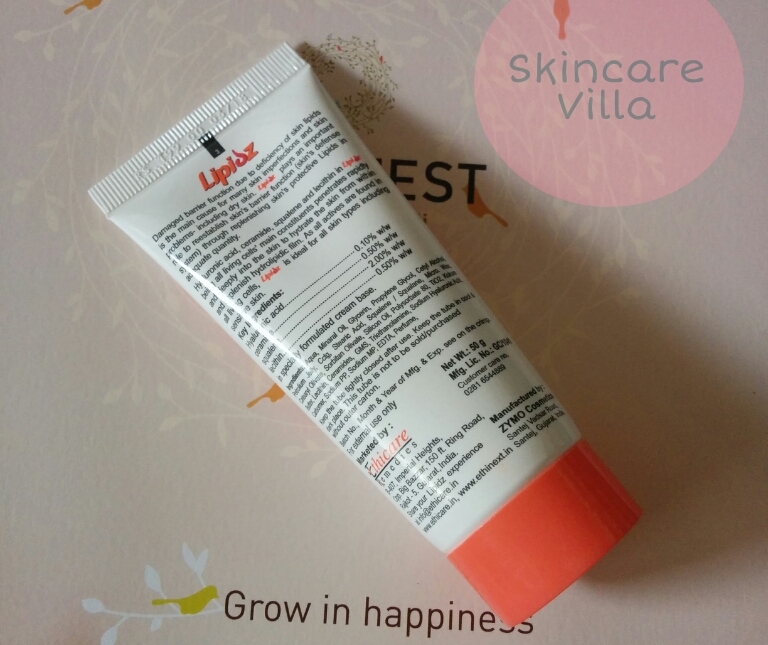 Today's review of the product Ethicare Remedies Lipidz Cream is about based on science. We all know our skin has a barrier and it helps prevent the skin from drying. More often than not we damage the barrier due to harsh chemicals. The cream claims to restore the skin barrier and replenish the lipids. Let's see how this one goes. Damaged barrier function due to deficiency of skin lipids is the main cause for many skin imperfections and skin problems, including dry skin. Lipidz contains both physiological and non physiological lipids (used in western country products). So, Lipidz plays an important role to re-establish skin’s barrier function (skin’s defense system) through replenishing skin’s protective Lipids in adequate quality. It has non-greasy and non-comedogenic formula. It is ideal for all skin type including sensitive skin. The product is packaged in a tube with a screw top and colour of packaging is very attractive. The glossy finish of the tube makes it look classy. The cream is super white in colour and is a bit runny in consistency. Although the consistency is smooth and cream looks glossy. Tube packaging is very convenient and easy to use as well as travel friendly. The cream has mild fragance and it instantly reminds me of a caramel chocolate. It smells sweet but very mild and hence it's not at all bothering and yes it's not lingering as well. The cream being very smooth in texture glides easily on skin and gives a glossy look to the skin. 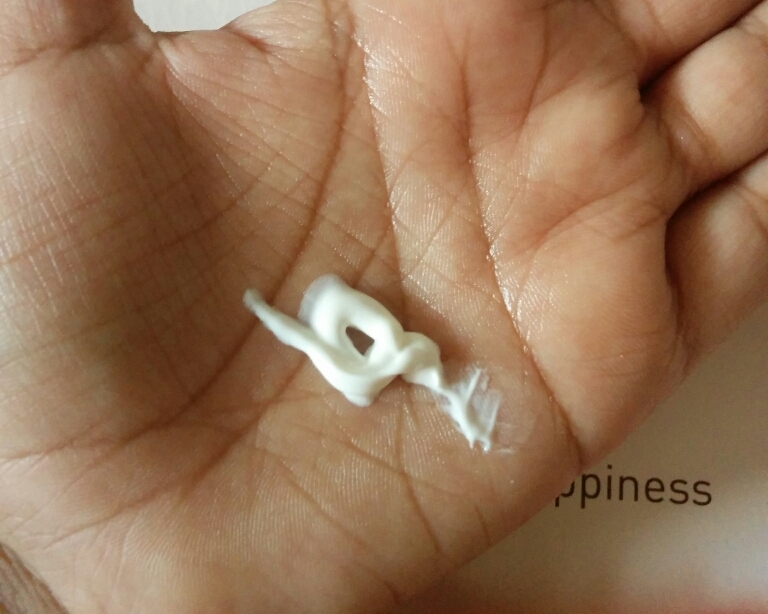 I tired the cream on face, hands and feet and it gave me surprising effects on facial skin. I have a few dry patches on my forehead and it instantly cured them. for hands and feet the hydration was okay sort since the cream is not heavily moisturising. 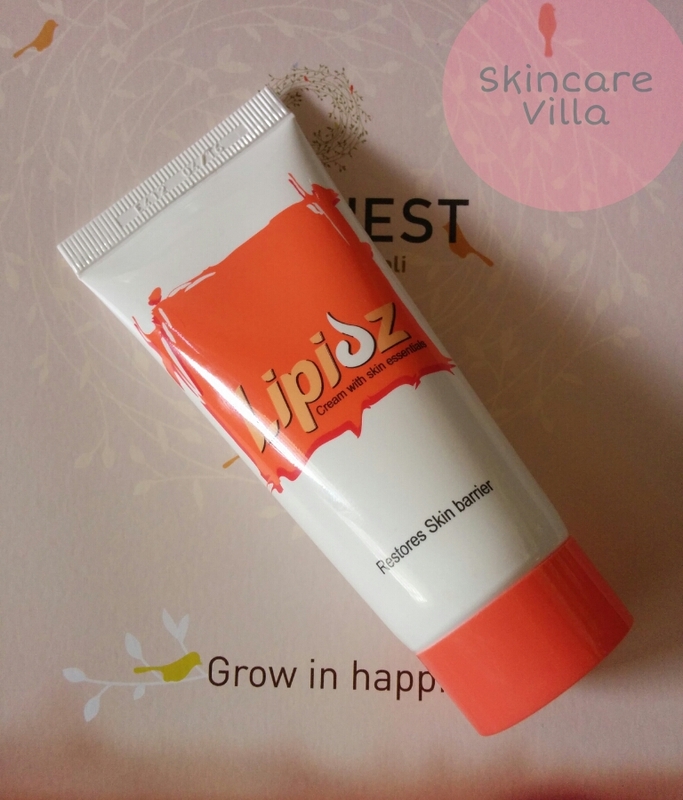 The cream is basically aimed at replenishing skin’s protective Lipids. It basically cures any dry patches and hydrates the skin without a sticky or heavy feel. Although after using the cream the skin doesn't feel dry but it isn't too hydrated also. If preferred, you may apply your body lotion after sometime post using this cream. Overall a good option to cure the dry skin problem from within. I would recommend this product if you are into curing your dry patches of skin from within keeping science in mind :D. Although some may find the hydration quotient of the product less than average. If you are okay with using it underneath the body lotion, it's meant for you. But using just this product will definitely not give intense hydration. Pocket Friendly Facial Scrubs for Oily Skin Type!